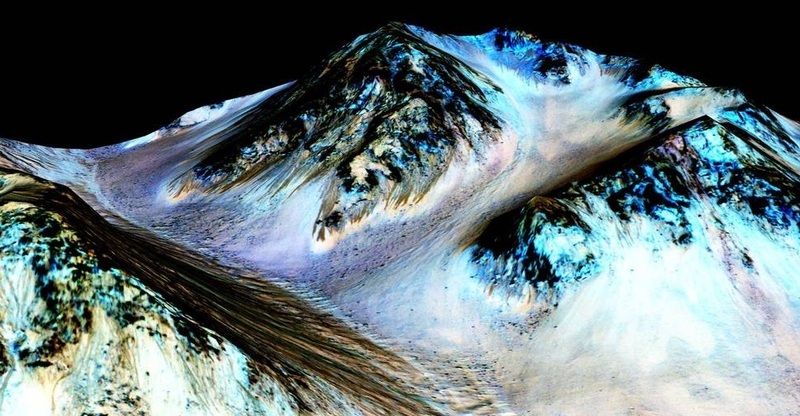 Very recently NASA has confirmed the evidence of liquid water flowing through the red planet Mars. Mars has been the centre of studies for many International Space research centers and NASA have progressed hugely in exploration of Mars. NASA has posted in their official website that a high resolution imaging spectrometer on MRO have detected patches of hydrated minerals on slopes with mysterious streaks. A continuous study has shown that the water flow is in the form of darkened streaks. During warm seasons the streaks get darkened and then in cooler seasons, they fade away. They are found in several locations on Mars when temperatures are above minus 10 degrees Fahrenheit (minus 23 Celsius), and disappear at colder times.